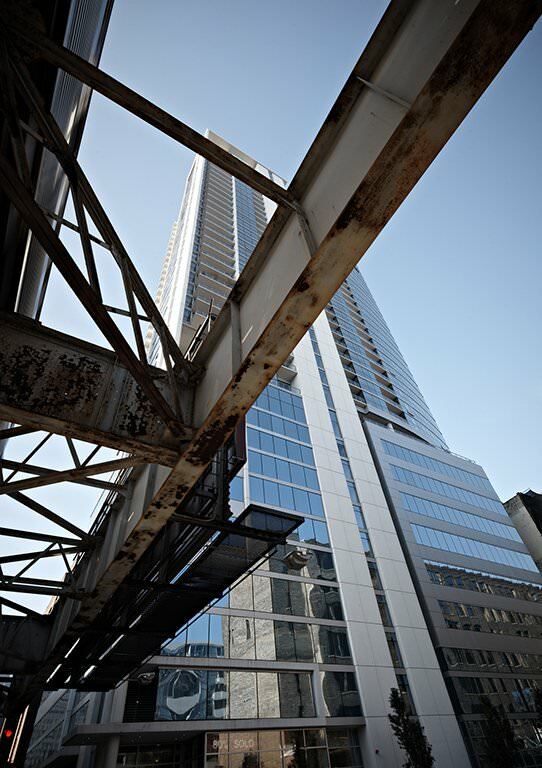 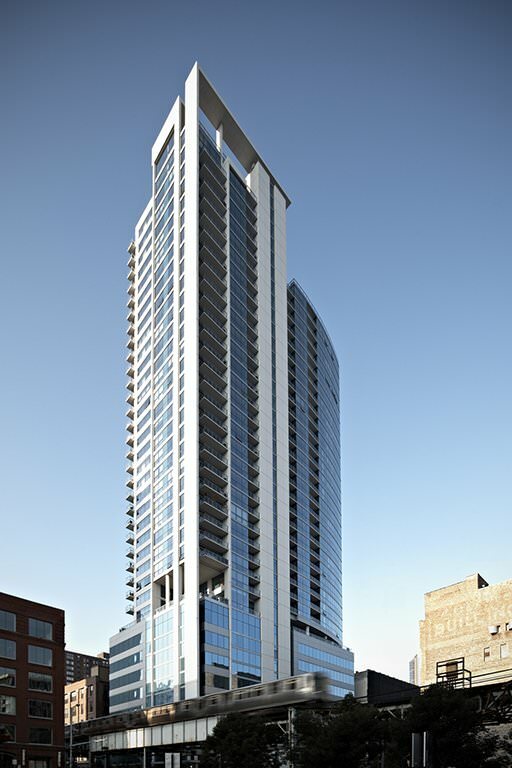 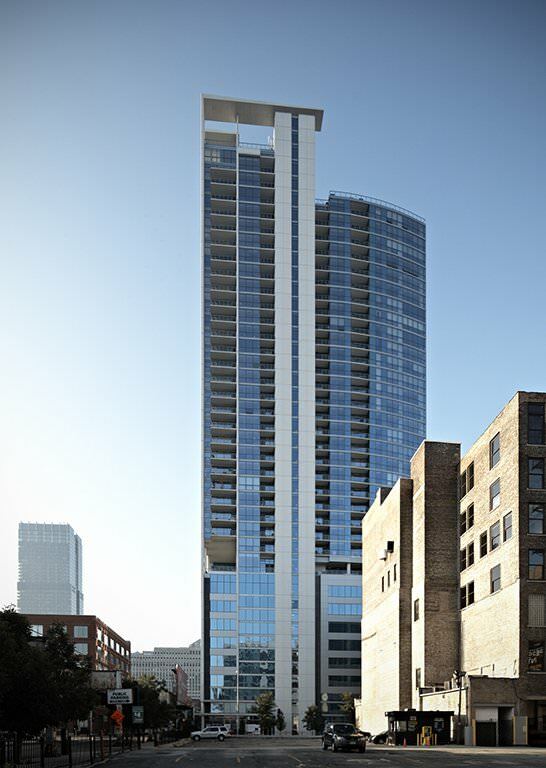 In Chicago’s River North along the heavily trafficked 90/94 expressway, Silver Tower is a 40-story residential building with 225 condominium units, attached parking, and ground-floor retail space. 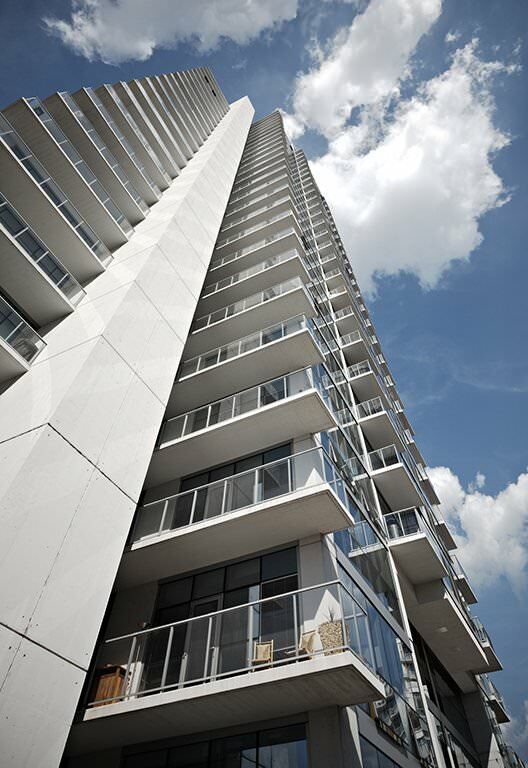 Horizontal banding and vertical canopy elements draw attention across the facade, creating smaller scale elements that give unique profiles to each tier of units. 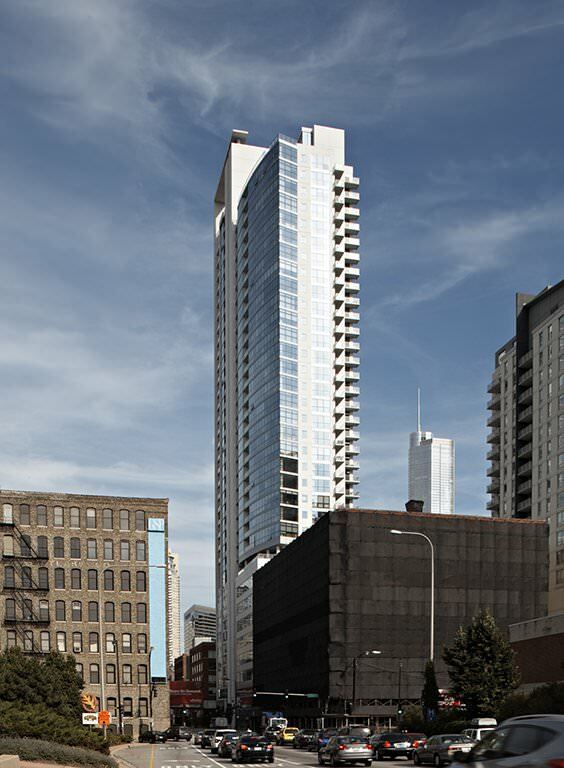 In reference to the existing context, metal and glass spandrel placement at the garage base were derived from the proportions of the adjacent loft buildings. 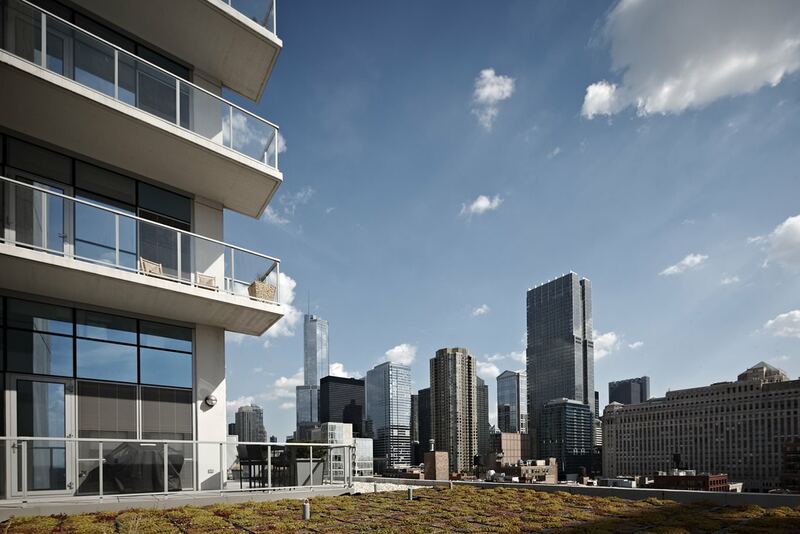 Above, the tower is interrupted by a recessed floor that separates the residential and garage areas, and enables the insertion of a gracious sky lobby and amenity space.